'PhoneArena Knows Best' starts today! If you are facing a difficult dilemma in your mobile life, and you'd eagerly accept some advice in order to make a decision easier, or to solve whatever is troubling you, as far as phones and tablets go (we won't be dealing with personal issues here, sorry), you now have the ultimate solution in our new column - PhoneArena Knows Best. So, what exactly are we going to do here? Well, below we have a mail link, that will let you send us an email regarding your question/issue. Right now, our intention is to make this a weekly post, featuring answers to the questions that we think will be most interesting to a widest range of our readers. However, this doesn't mean that you will not be answered, in case you've run into a more specific problem. In short, you can now send your questions to the email address below, and next week we'll put up a post that answers the ones we've chosen. One simple concept - a lot of fun and usefulness. It's a win, no matter how you look at it. What are you waiting for? Just go ahead and ask us whatever you like - from whether you should go for that new iPad purchase, to what's the color of the sheep that Andy Rubin's counting while falling asleep. And in case you think that you already know the answers to some of those questions, just remember that PhoneArena knows best! Great idea! I'm emailing them questions right now! That's something which is greatly needed. We're glad you like it! :) Looking forward to answering them questions. Very neat idea... I like the idea of just such a "mobile guru" out there helping folks. Very cool! I think, if you continue keep on posting non related post like this, soon you will become taco50 number two. Advices regarding phones? I mean REAL phones, non US variants? Pricing of unlocked phones? SW related questions? Android ROMs? Questions regarding obsolete phones, say for example, Nokia 6600? etc etc etc....? Thousands of questions on mind. We'll primarily answer those questions that we think would be of interest to many of our readers. However, that doesn't mean you absolutely won't get an answer if your question happens to be more specific. It depends. But it's safe to say that we won't be answering questions about pricing. It's something that anyone can check for themselves! glad to see PA moving forward... now where is the mobile site everyone has been waiting for? I think they stole it from Soldier Knows Best. 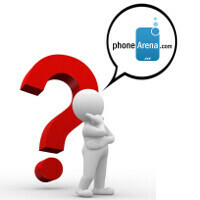 Which tablet someone should buy... explaining the best purposes for each one (iPad 3 - gaming... Transformer Prime - Personalization... etc) Thumbs up for Phone Arena to answer this!!! !